The OPW 53-0020 - 3" x 2" Iron Bushing for use on tank vent lines, fill lines, suction lines or other lines where it is necessary or desirable to bush up or bush down. 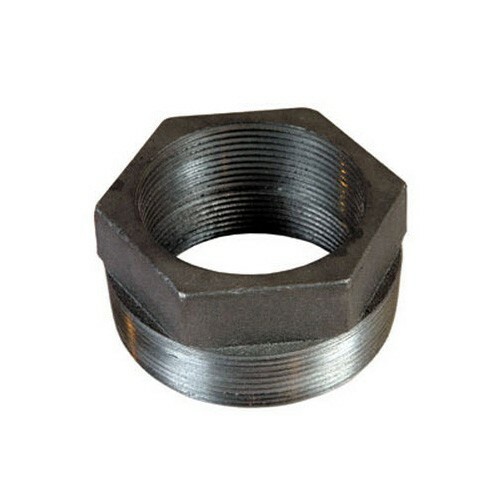 The OPW 53-0034 - 4" x 1-1/2" Iron Bushing for use on tank vent lines, fill lines, suction lines or other lines where it is necessary or desirable to bush up or bush down. The OPW 53-0036 - 4" x 2" Iron Bushing for use on tank vent lines, fill lines, suction lines or other lines where it is necessary or desirable to bush up or bush down. The OPW 53-0038 - 4" x 3" Iron Bushing for use on tank vent lines, fill lines, suction lines or other lines where it is necessary or desirable to bush up or bush down.